Motic microscopes include a full range of educational, professional and industrial high quality microscopes. Digital options are available (either built-in, or as an addition) for each microscope both for viewing live images, capturing images or making measurements. 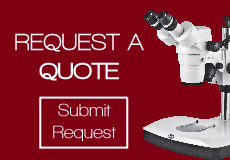 Our goal is to provide you with excellent customer service while getting you the proper microscope for your application. Click here for Motic SALE Microscopes and Specials!